Rotterdam is the second largest city of the Netherlands, located in a densely populated metropolitan area in the Western part of The Netherlands known as the Randstad, counting more than 7 million inhabitants. 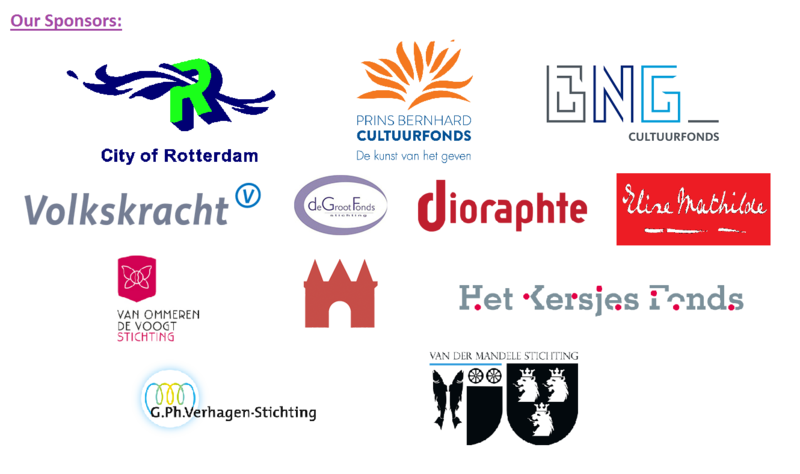 Owing to its role as a major seaport, trade centre and transportation hub, Rotterdam is a dynamic, internationally oriented city with cultural and financial ties to all parts of the world as well as within Europe. 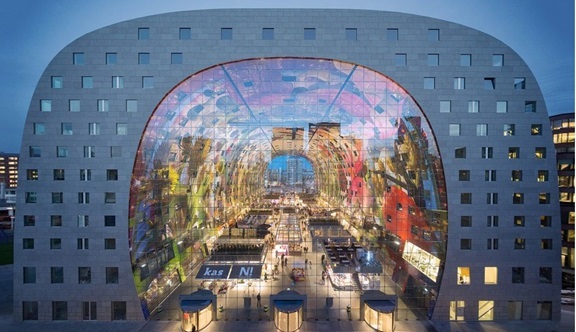 One of the most striking visual features of Rotterdam is its dashing new architecture: Examples include the business district, the famous Blaak district with its oddly poised cube-residences, the Markthal, Rotterdam Central Station and surrounding areas. The most notable cultural facilities are located in the Cool district (this is an actual place name, although it also fits as a characterization!) around the Schouwburgplein square, which holds the City Theatre, the Doelen Concert halls and the Codarts School of Arts all in close adjacency. Numerous museums and nightlife hotspots are also close by. Rotterdam is an easy travel destination, by almost any means of transportation. 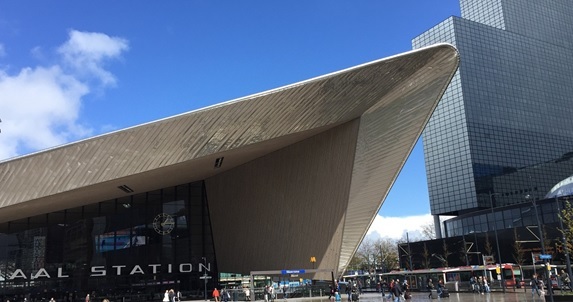 For most international visitors, the Amsterdam Schiphol airport is a logical and convenient arrival venue, from which a high speed train will take you to Rotterdam city centre within 30 minutes. Some low-cost regional (European) carriers even fly directly to the Rotterdam – The Hague airport, which is located only 5km from the city centre.